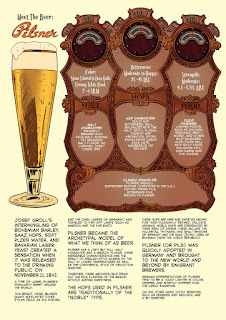 By far the prevalent type of beer made and sold internationally. Who knew? These guys! I should have known from the onset that this would be an excellent book. 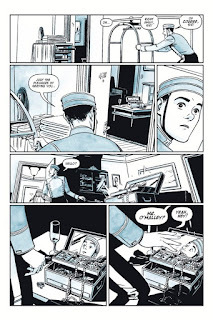 It is by writer Aaron McConnell and artist Jonathan Hennessey, the two creators behind The United States Constitution: A Graphic Adaptation, one of my favorite nonfiction, historical graphic novels, as well as an adaptation of The Gettysburg Address, which I have not read. They are joined on this look at the history of beer by co-writer Mike Smith, former head brewer at Back East Brewery. This interview with all three creators sheds more light on their work on this book, as does this interview at CBR. All of the reviews I have read about this book have been very positive. Publishers Weekly concluded, "The abundance of interesting little details in these illustrations pair well with the wealth of information that the authors provide." I was amused by this exchange in a forum at Beer Advocate (where, unsurprisingly, everyone seems to love this book) when one commenter called it the "'Beer Goggle History.' This consists of theories that credit beer with every major positive innovation" in western civilization. 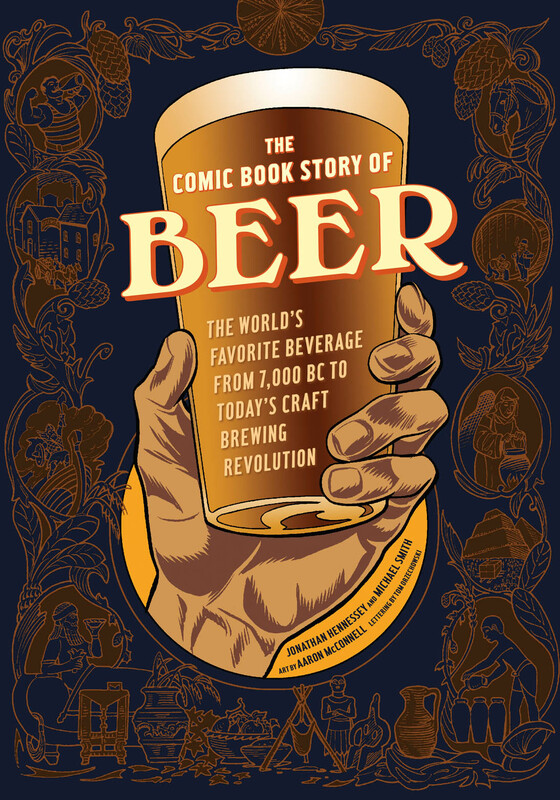 Emil Favila gushed that it was a book for anyone "whether you are a fan of beer, or just great storytelling." Matilo von Plume gave it an A+ and summed up, "This is a book that deserves a permanent place on one of your shelves; not only is it a fun and informative read, but the sheer wealth of beer style-specific portraits (easily located via TOC or index) makes this an invaluable resource for novice beer drinkers as well as those who want to broaden their tasting horizons." 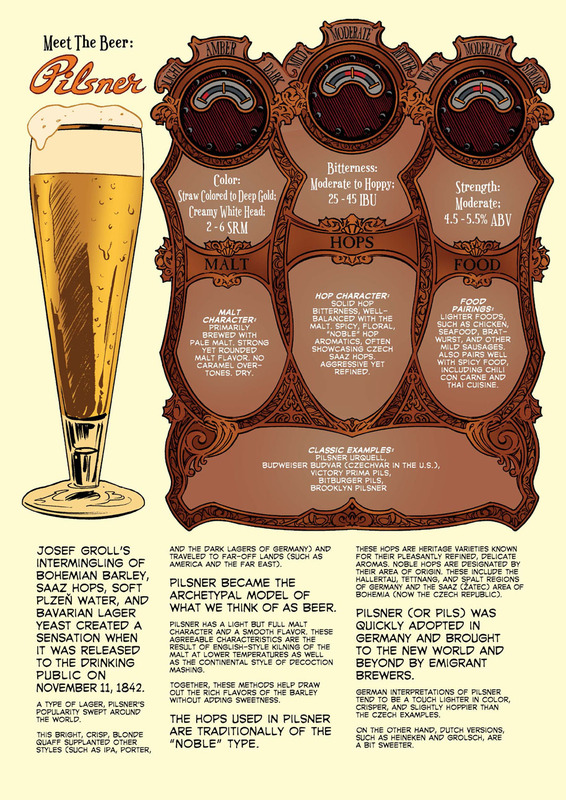 You can see multiple previews and also learn a lot more about The Comic Book Story of Beer at its official website. It was published by Ten Speed Press. 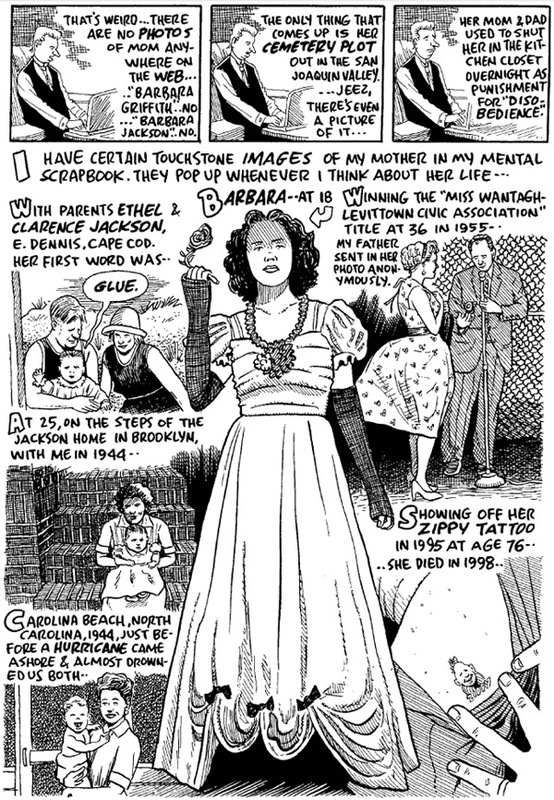 Bill Griffith has been making comics since 1969, and he was involved in producing a good number of underground comix. But he is best known for his long-running syndicated comic strip Zippy the Pinhead, with its serial title character and catchphrase, "Are we having fun yet?" I used to read Zippy all the time, and I loved its obscure references, attention to nostalgia, and biting social commentary. A million years ago when I was in high school, I even drew a number of comic strips about a local pharmacist (Hi Nunzio!) using Zippy as my template. So, when I saw that Griffith had finally created a graphic novel, and one with such a salacious title I was eager to check it out. I am glad to say that it is a very worthwhile read. 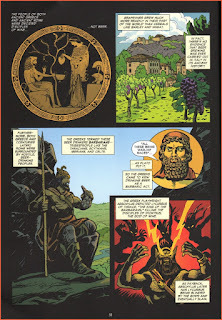 The comics are well drawn and composed, and the story is very compelling and substantial. In the end, I was struck by just how much of a mystery this book was, with Griffith struggling to learn just who his parents were. 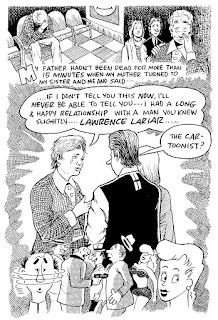 His mother seemed to be striving for a bohemian, scholarly life but was trapped by her social situations and took respite in a long affair with a cartoonist, Lawrence Lariar, whose fame was fleeting and today is all but forgotten. More troubling and less spoken of, Griffith also sought to know more about his terse, gruff, and turbulent father, though in the end he is still left with a lot of conjecture about both. 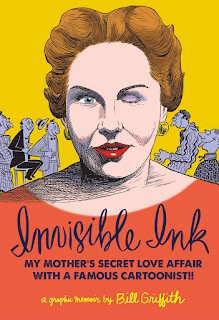 Certainly, I can see some people not really caring about one person's family history, as idiosyncratic as it is, but still I feel this book gets at many important themes about life, love, and family, not to mention a close look at mid-20th century romantic relationships. This is a cerebral and deeply personal book, perhaps most typified by a sequence of pages toward the end with small, wordless tableaus accompany large text tracts of Griffith's mother's letters. I know that I was worried about the words taking over the imagery, but perhaps the best part of the book was seeing those spare images along with the deeply felt, well composed letters where she spills most of her guts. Here, virtuoso images juxtapose with artful, accomplished prose with heart-rending results. For those wanting to know more about the book's origins, Griffith speaks more about his inspirations and intentions in this interview. All of the reviews I have read about this book show positive responses to a complex narrative. 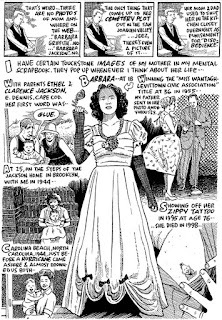 Etelka Lehoczky wrote, "Griffith's wonderful art and charmingly bemused perspicacity would make Invisible Ink a treat even if it stuck to the narrow topic of the affair and its effect on his childhood. But he goes far beyond that." Hillary Brown commented that the book "is at its best when Griffith meanders into tangents, not when he sticks to the main narrative, which isn’t a particularly long or complex story." Publishers Weekly called it "an evocative portrait of postwar America." Henry Chamberlain wrote that what is best about the book is that Griffith "is just like any of us trying to deal with the past and that is an excellent hook for readers." Invisible Ink was published by Fantagraphics, who has an excerpt and more information available here. 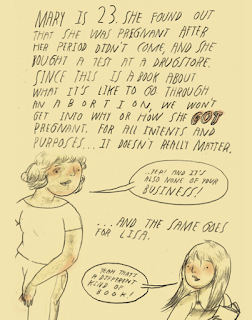 To say abortion is a hot-button topic in the US is an understatement. Political groups use it as a wedge issue; religious groups typically rail against it, and there is a frightening contingent who use terrorism and violence to press their "pro-life" agenda. Not Funny Ha Ha does not get into those areas, but it does perform an important function. It documents what happens to the people who for whatever reason decide they need to undergo that medical procedure. 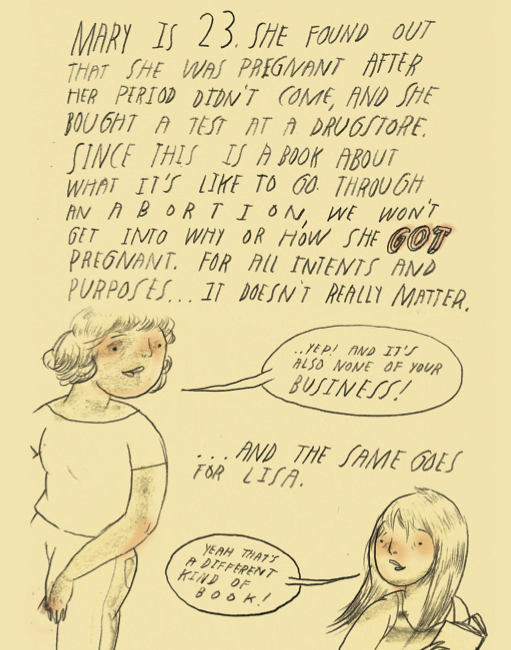 This graphic novel follows two different women, called Mary and Lisa, who both undergo abortions, one medical and one surgical. As you can see from the excerpt below, they are portrayed realistically and with intelligence, candor, trepidation, and humor. Finally, this book also sheds light on the logistical and mundane aspects of the procedure. 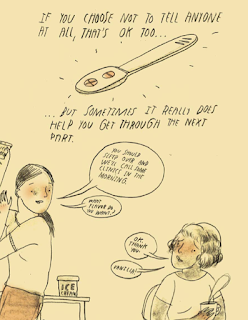 It is sort of like a "What to Expect" type book that looks into what is typically a taboo and hidden process. 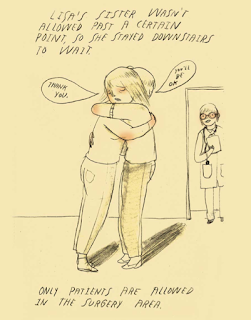 This book demystifies it while also acknowledging that it is a difficult and personal choice, but it also puts a couple of very human faces on those who choose to undergo the procedure. After reading this book, I would imagine it would be difficult for someone to shun or shame those who choose this lonely path. 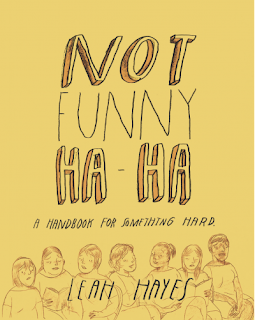 Leah Hayes is an illustrator, musician, songwriter, and producer who has published a collection of short stories told via scratchboard images called Funeral of the Heart. 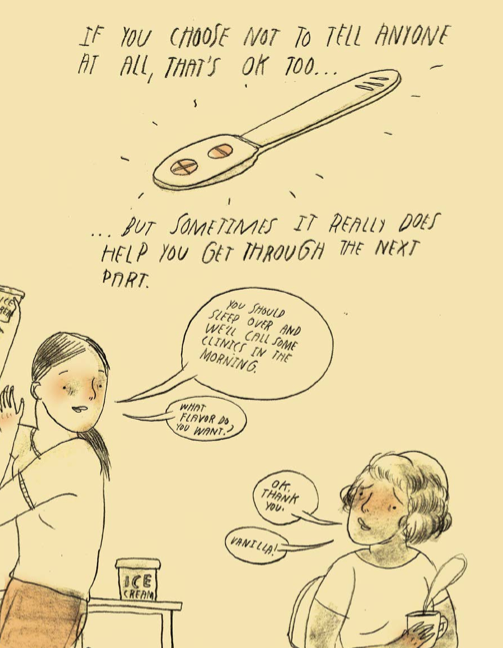 I think what makes Not Funny Ha Ha work so well is her wit, subtle yet affecting art style, and simple lettering. She takes a very disarming and approachable angle on a very difficult subject that I found very engaging. She talks about her work on this book in this interview. All of the reviews I have read about this book have been positive. Hillary Brown commented on its "subtlety and sensitivity." Etelka Lehoczky called Hayes' linework "aggressively unassuming" and the entire enterprise "formidable." Publishers Weekly summed up their write-up, "Clear headed and with a sympathetic voice, this book provides valuable information for women who have to make a difficult decision." 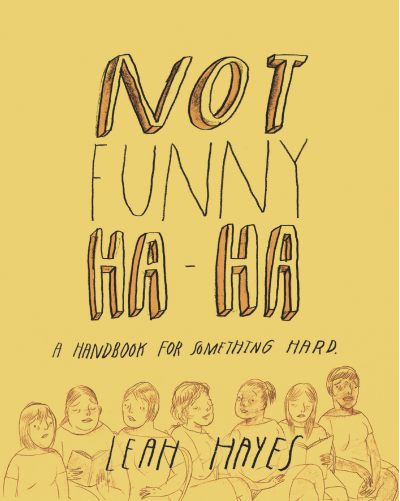 Not Funny Ha Ha was published by Fantagraphics, and they have a preview and more information available here. You can also follow news and goings-on about the book at its Twitter page. 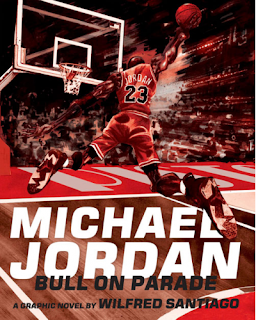 Michael Jordan: Bull on Parade is an energetic and bombastic look at one of the greatest basketball players of all time who also happens to be one of the largest international marketing figures. This biography hits the high points in his life, from his early frustrations at not making his high school basketball team, to his time in Chapel Hill where he won a national championship, to his two stints with the Chicago Bulls where he eventually won six world titles, to his attempt to break into major league baseball, to his many business successes. It is clear that this book is the work of a fan, and MJ comes off as a larger than life figure, but there are also references to his darker aspects of his life, including his gambling habit, at least one mistress, and the strange circumstances his father's murder. However, as good as the art is in places in the book, there are other instances where it looks a little muddy. Also, I think that the author tries to pack a little too much into the book to the point where some context gets lost. I paid a lot of attention to MJ's basketball career, and I get many of the references to the times and circumstances around his life, but I felt some major topics were given short shrift. For example, there is very little about his relationship with Nike in here, which I find strange given how globally omnipresent his Air Jordan sneakers were and still are. Also, there are many scenes that I feel fly by because they are given little context and some panels that may be throwaways because the characters depicted within are not really introduced or explained. 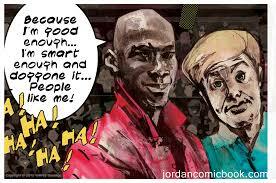 Take for instance, this one from MJ's appearance on Saturday Night Live. Would anyone who did not already know what this was get it? 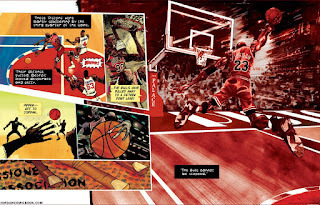 Still, I think that overall this is a fun book that fans of basketball and Michael Jordan in particular would enjoy. It is the creation of Wilfred Santiago, a graphic artist currently living in Chicago. 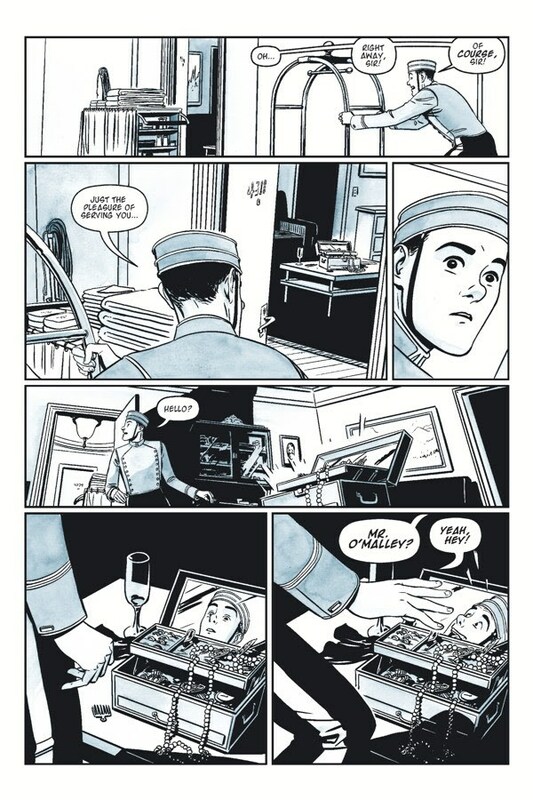 He is known in graphic novel circles for his excellent biography 21 - The Story of Roberto Clemente. It seems to me that he excels at telling stories about the athletes who have figured large in his life. He speaks more about his work on the MJ biography in this interview. Most of the reviews I have read about this book have been positive, though some offer reservations. 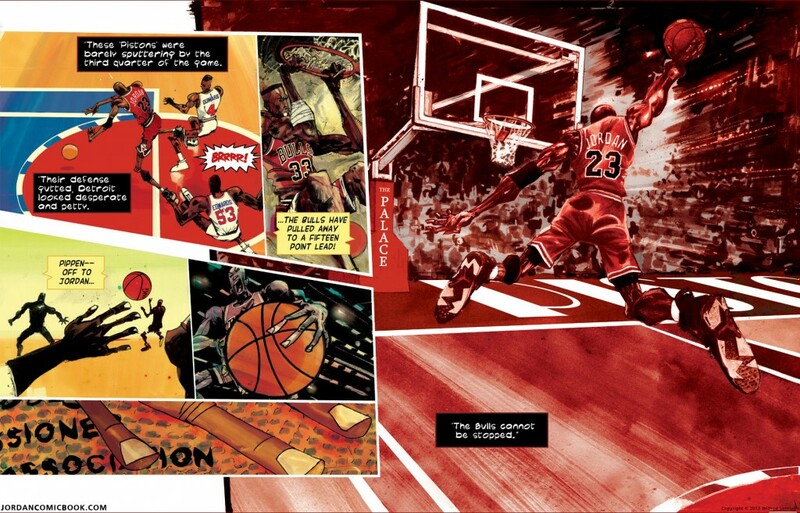 Michael Bettendorf summed up his review, "Santiago’s drawings and colors bring a unique style into the comics medium and offers great snapshots into the life of Michael Jordan, but if you’re expecting a full-fledged biography, you’ll be disappointed." Publishers Weekly commented positively about "a strong, tightly-written narrative that often deftly illustrates social issues of the time." Shea Hennum had much praise about the book, especially because "Wilfred Santiago does a fantastic job of getting me to buy into a subject I have no real interest in." Michael Jordan: Bull on Parade was published by Fantagraphics, and they have a preview and more information about the book available here. There are a few "bleeped" swear words and some mature situations with infidelity, but I do not think there is anything that a reader in middle school or above could not handle. 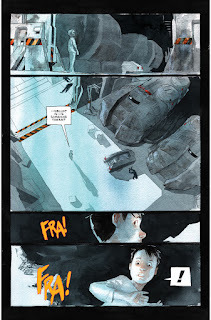 Tin Stars is the first volume of the ongoing Descender series. It compiles the first six issues, telling the tale of a universe where robots have destroyed a sizable portion of the population on nine worlds. The resulting backlash resulted in robots being hunted and destroyed. 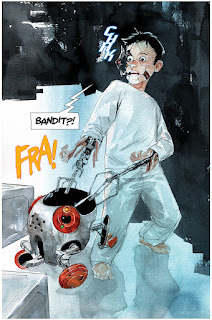 Ten years after the initial massacre, Tim-21, a small robot designed to be a child's companion reactivates. He finds himself in a strange and lonely place, and he tries to get his bearings. I don't want to spoil much, because I think that this series is well paced with revelations and surprises, but Tim-21 is wanted by a number of interested parties, because his is a unique robot model. Also, his codex is somehow related to that of the "Harvesters" that wrought the massive destruction. I know that this series is similar to other works, and it seems to wear influences, to the manga series Astro Boy and Pluto, the TV series Battlestar Galactica, and the film Prometheus, on its sleeve, but I still think the story feels fun and fresh. Much of that freshness has to do with the artwork, which you can see is wonderfully atmospheric in its painterly qualities. I also feel that the character work is interesting, and the motley crew that assembles is amusing for its dynamics. 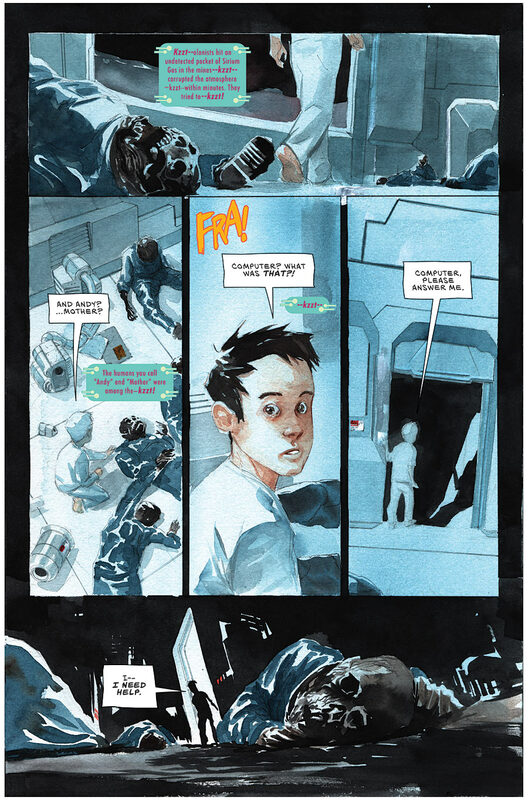 Descender is a collaboration between writer Jeff Lemire and artist Dustin Nguyen. 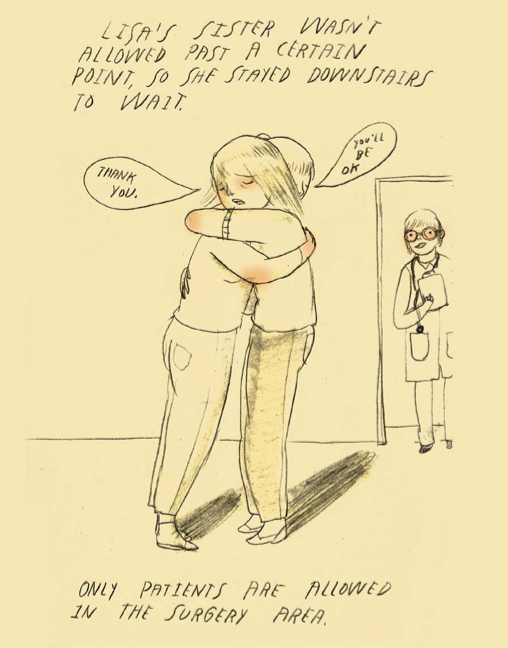 The multiple-award winning Lemire is known for his spare and beautiful Essex County Trilogy. He is a prolific comics maker who has worked for the big 2 comics companies, doing superhero work on titles like Animal Man and Extraordinary X-Men, as well as also creating original works like The Underwater Welder, Plutona, and Trillium. Nguyen has been drawing mostly for DC Comics for the past decade, being one of the main artists on various Batman books. 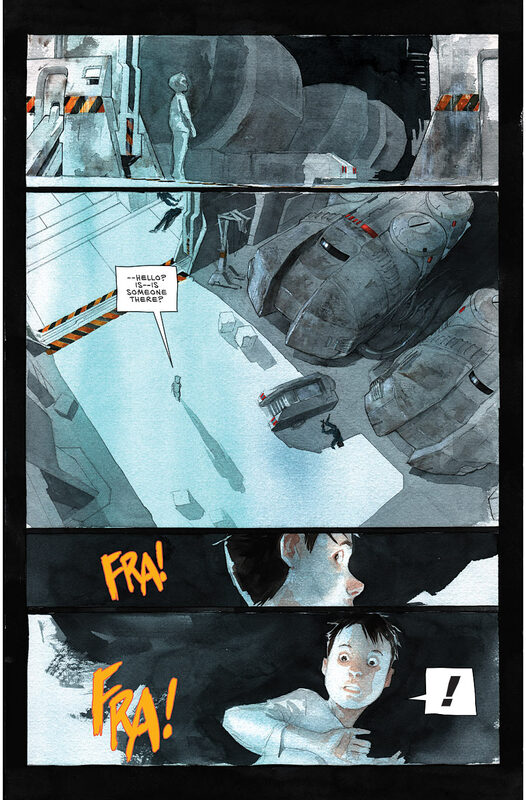 Both creators speak about their work on the Descender series in this interview. The reviews of I have read about this series are positive, though some are somewhat measured. In a starred review, Published Weekly praised Nguyen's "marvelous" artwork while also praising Lemire as he "smoothly doles out information while amping up the tension, and the innocent, friendly character of TIM-21 creates real heart in the midst of extreme violence." 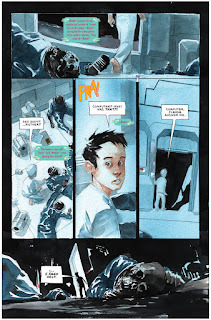 Emily King praised the artwork as well, but added that "If you don’t know much about Mass Effect, than Descender will seem pretty fresh in terms of the core pillars of its story and setting" (Disclaimer: Until I just googled it, I knew nothing about Mass Effect). Henry Dykstal called it "an excellent start to an epic." 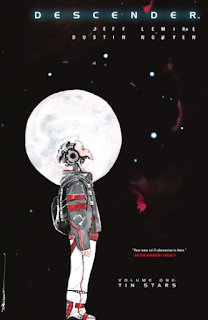 Descender Volume One was published by Image Comics. They have more information and links to previews here. I have heard some talk about how 2015 has been a down year for graphic novels in terms of quality, but for the life of me I can't see it. Perhaps I have not read one transcendent book so far, but there have been many well crafted ones. The Sculptor was technically great and had an incredible ending sequence; Tim Ginger was very mature and intriguing; Omaha Beach on D-Day was an excellent use of multimedia, and Russian Olive to Red King was a very mature and affecting book. And I have not even mentioned some of the most fun books I have ever read, like Nimona or Fantasy Sports No. 1. 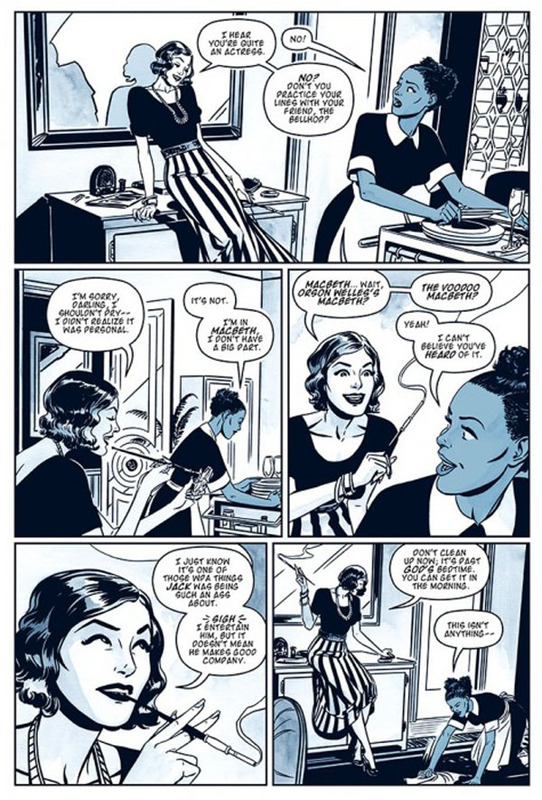 All of this is prologue to me talking about The New Deal, which I think is a gorgeously rendered graphic novel, a period piece that might not be the most substantive thing I have ever read. 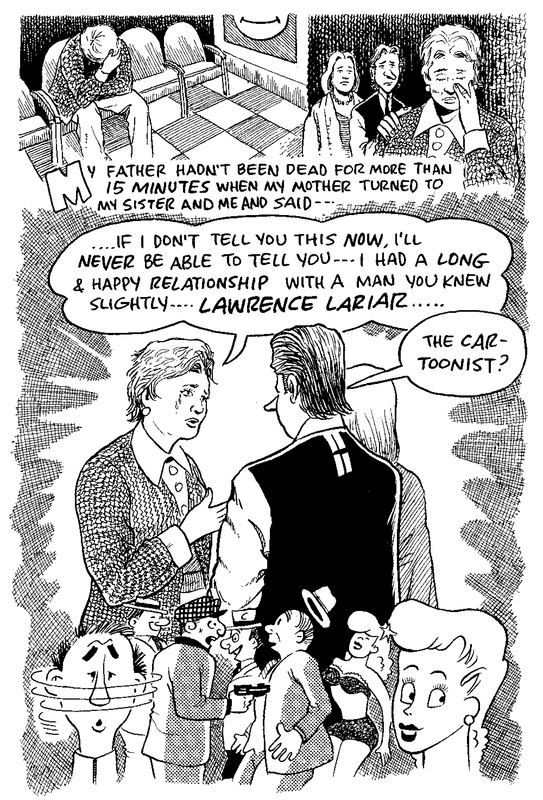 But it features fantastic artwork while being a fun, breezy read, a throw-back to old school comedy films. The story here is set in 1930's New York City at the Waldorf Astoria Hotel. The main players are Frank, the bellhop who is a bad liar with a poker problem that has put him in debt; Theresa, the African-American maid who moonlights as an actress in Orson Welles' production of Othello, and Nina, an eccentric socialite who has just checked in. Frank is tempted to pilfer some of the guests more expensive items to dig himself out of his hole, and Nina is a busy-body who inserts herself into Theresa's and Frank's business. Further complicating matters, there is a racist guest who casts suspicion on Theresa when some of her items goes missing. Also, it turns out that there is a thief in the hotel who may be pinning their work on Frank. So, to sum up with out spoiling things, there are a lot of instances of mistaken identity, snappy wordplay, interesting social situations, and sophisticated folks in snazzy clothes acting cool. All of this adds up to an enjoyable romp, replete with crisp, expressive, and clean artwork. Even though I enjoyed the story, I feel the art is the best part of this book, as was also my experience with the other works by Eisner Award winning artist Jonathan Case I have read, The Green River Killer and Dear Creature. 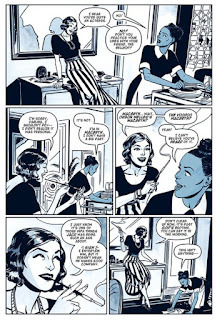 He is an illustrator and member of the Periscope Studio based in Portland, Oregon, and he has also been working on the Batman '66 comic book series for DC. He speaks more extensively about his work on The New Deal in this interview. He also expounds about his artistic process in this profile. All of the reviews I have read about this book have been very positive. Henry Chamberlain called it Case's "best work yet" and "a thoroughly entertaining and remarkable work." Itho called it "an instant classic" and added that it is "masterfully done, and deceptively simple." Jason Wilkins called the artwork "stunning" and stated that this graphic novel is "one of the most visually pleasing books of the year." 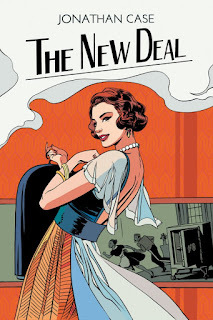 The New Deal was published by Dark Horse, and they provide a preview and more information here.